This entry was posted on Sunday, May 23rd, 2010 at 9:02 pm	and is filed under Terrorism. You can follow any responses to this entry through the RSS 2.0 feed. Both comments and pings are currently closed. 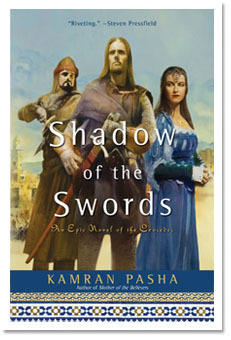 Thank you again, Kamran Pasha, for your constructive, inspiring comments, comments that inspire optimism. I believe that the majority of Muslims agree with you. Where I live, in Los Angeles (specifically the San Fernando Valley, a true mix of people from every corner of the globe), I believe a huge majority of Muslims agree with you. It is a shame disproportionate attention goes to extremists. But it is important that Muslims who feel the way you do continue to speak out. Thank you for your voice. It is true that Islam is hijacked by terrorists like Osama and Al Awlaki. It is the duty of Muslims to let the World know that Islam is not what these perpetrators of crime are making it out to be. There are various instances from the life of Prophet Muhammad(PBUH) when he preferred Peace. War was the last option and was opted when all the peace talks fail or the enemy wanted it. Islam always stood for peace. It means Peace. Peace be on You, Peace be on entire Humanity.